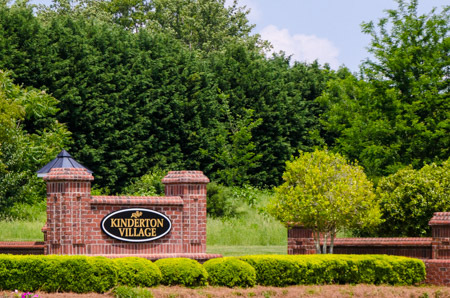 At the February 28, 2019 Annual Kinderton Village Master Association Members Meeting held at WinMock, Bermuda Run, NC, Tony Krasienko and Paul Dixon and Jean Mock were elected by the Membership of the Master Board to fill three vacancies on the Board. Roger Williams retired from the Board after his 3 year term and we thank you for your dedication and enthusiasm as volunteers for the community! 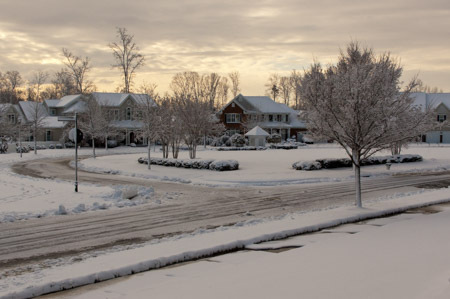 NOTICE TO ALL RESIDENT OWNERS ON KILBOURNE DR.
Out of 41 homes on Kilbourne 21 HOMES VOTED. 12 Votes for No Change. 8 Votes for Two-Way Traffic with Parking On One Side. 1 Vote for One-Way Traffic with Parking On One Side. Therefore, there will be NO Petitioning. of the Town Council to make any changes. Pool hours are 8:00 a.m. to 8:00 p.m. Lap swimming from 6:00a.m. – 8:00a.m .The fee to add these hours to your pool pass is $10.00. If you signed up and paid for a previous year, you DO NOT need to send another check. 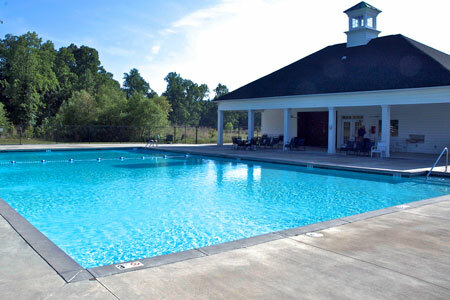 To access the pool you must have your pool pass and a valid ID with a Kinderton Village address. Tip: make a copy of your valid ID and attach it to your pool pass. REPLACEMENT CARDS - Replacement cards are $50.00. 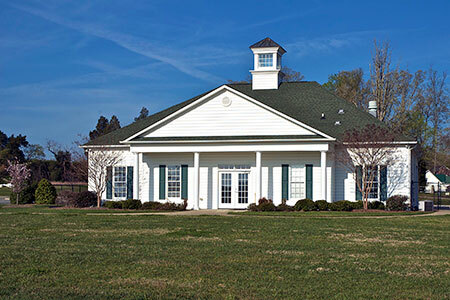 Checks should be made out to Kinderton Village Master Association 1318 Ashley Square Winston-Salem, NC 27103. They are sent out by mail or may be picked up in our office by appointment. Please allow 7-10 days for this process. Please note: requests for pool access and cards is not an emergency, calls will be returned Monday – Friday only. HOA DUES MUST BE CURRENT - Keep in mind that the HOA dues must be current before the pool card can be activated. If your dues are paid in full in full through April 2018, your pool pass for 2018 will be activated. If your dues are delinquent, it will be 30 days before we have another report and can activate your pool pass. A fee of $35.00 will be charged to reactivate the pass once your account is current. If you violate the pool rules, the pool pass may be deactivated for the remainder of the pool season. NO LIFE GUARD ON DUTY - Swim at own risk. NO DUES = NO KEY CARD and NO POOL USE!! - You must be current in your dues in order to use the pool. MUST HAVE A VIOLATION FREE ACCOUNT - You must not have ANY VIOLATIONS on your account in order to use the pool. POOL IS FOR KINDERTON RESIDENTS - The pool is for Kinderton residents and FOUR ACCOMPANIED GUESTS (unless previous arrangements are made) . Members are responsible for informing their guests of the pool rules. Parents are responsible for the conduct of their children. CLOSE POOL GATE BEHIND YOU - Do not open gates to let in unsupervised children or guests or non-Kinderton residents. No one is allowed entry to the pool without a pool key card. RESIDENTS 15 -17 YEARS OF AGE - may have ONE guest. RESIDENTS 14 YEARS OF AGE & YOUNGER - must be accompanied by an adult. RESIDENTS 3 YEARS OF AGE & YOUNGER - Children under 3 may be in the pool if an adult is physically in the water with the child. NOT PERMITTED IN POOL - Persons with open sores or wounds, skin rashes or eruptions, sore or inflamed eyes, nasal or ear discharges, or other infections or communicable diseases are not permitted in the pool. SWIMMERS MUST WEAR APPROPRIATE SWIM ATTIRE AT ALL TIMES - Bathing suits only. No cut-offs, torn t-shirts or street clothing. Rubber soled pool shoes are permitted. At NO TIME will infants/toddlers wearing disposable diapers or cloth diapers be permitted in the pool. Infants, toddlers, children, and adults who are not in control of their bodily functions are required to wear swim diapers or “swimmers” covered by rubber pants and a swimsuit. Feces (a “bathroom accident”) in the pool (even a tiny bit!) may cause an outbreak of e-coli. BY HEALTH DEPARTMENT CODES AND FOR EVERYONE’S HEALTH AND SAFETY, THE POOL MUST CLOSE IMMEDIATELY AND MAY REQUIRE CHEMICAL TREATMENT FOR 24 HOURS AFTER A “BATHROOM ACCIDENT” IN THE POOL. This is a tremendous burden and cost to our community. Parents/Guardians/Caregivers should make sure that their children are taking adequate bathroom breaks. POOL RULES CAN BE ENFORCED BY ADULT RESIDENTS - Adult residents have the authority to enforce any of the posted POOL RULES and to request those not abiding by the rules to leave the area. NO - Running, pushing, acrobatics, wrestling, fighting, spitting, horseplay, unsafe or causing undue disturbances WILL NOT BE ALLOWED. Abusive or foul language will not be tolerated. NO DIVING ALLOWED! NO ANIMALS - No animals permitted in the pool area except for guide dogs. NO FOOD/DRINKS/GUM IN POOL - No chewing gum or food/drink permitted in the pool or immediately beside the pool or around the edge. NO SMOKING allowed anywhere in the pool area. You must go a minimum of 30 feet outside the gate/pool area to smoke. All cigarette butts must be disposed of in the provided containers. NO GLASS IN POOL AREA - NO GLASS OF ANY KIND is allowed anywhere in the pool area. Anyone seen with a glass bottle or container will be required to leave the pool area immediately and subject to one month suspension from pool. Any cleanup (estimated at $2,000+) resulting from broken glass will be the responsibility of the homeowner/resident. AUDIO - Residents must use headphones when listening to audio. POOL FURNITURE - The pool furniture is not to be removed from the pool deck/area. SAFETY EQUIPMENT AVAILABLE - Safety equipment is for emergency purposes only and should not be handled or removed unless there is an emergency. REMOVE SMALL ITEMS - Any small items that may clog the filter system should be removed before entering the pool. CLEAN UP BEFORE YOU LEAVE - Clean off tables; return chairs to proper place and clean up your area before leaving the pool. FREE WIFI WHILE USING POOL OR CLUBHOUSE - There is WiFi available for use while using the pool or clubhouse. The password is: wifi4you and the Network Name is: Kinderton. Any costs to the Association which results from violation of these rules will be charged to homeowner. and suspend pool privileges as deemed necessary. pool attendant have the authority to limit the number of people during peak times. Remember swim at your own risk as manager and pool attendant are not lifeguards.